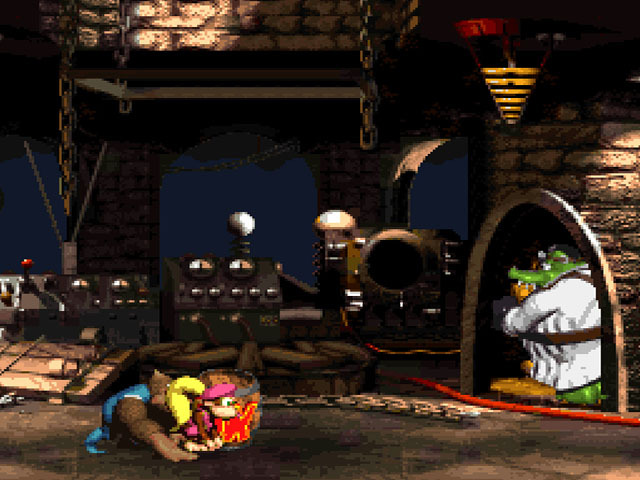 OverviewDonkey Kong Country 3: Dixie Kong's Double Trouble! 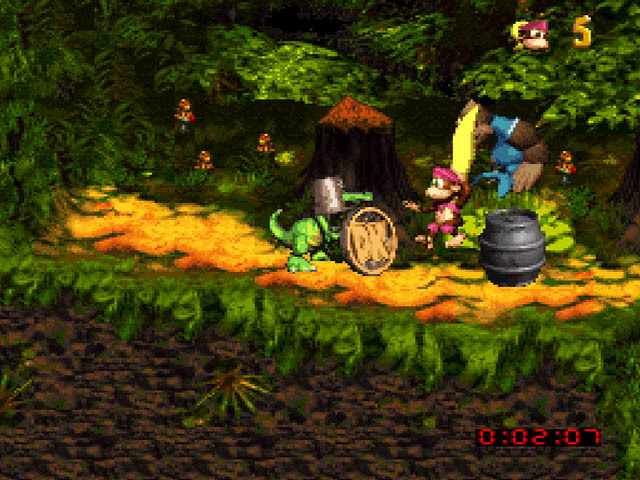 is the final installment in the original Donkey Kong Country trilogy. 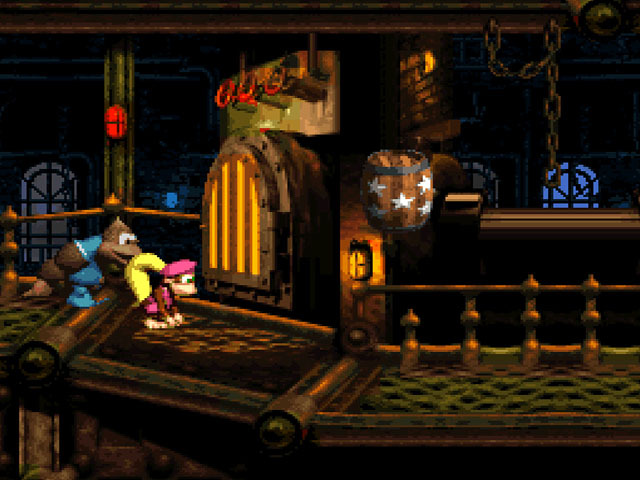 Like the previous installment, Donkey Kong is not a playable character. 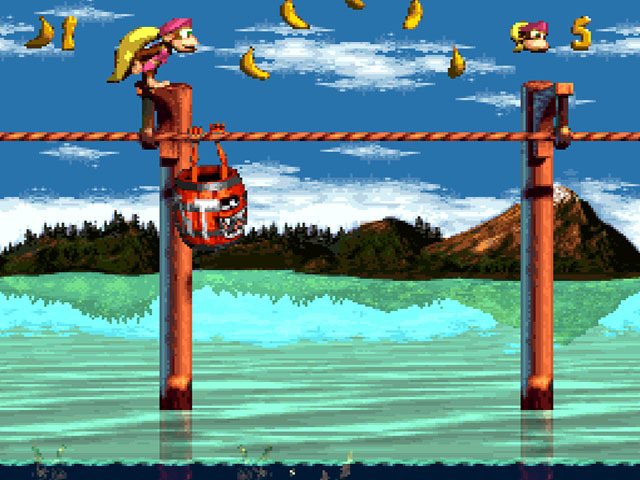 In this game, Diddy Kong is replaced by the toddler Kiddy Kong. A wonderful close to an amazing series! 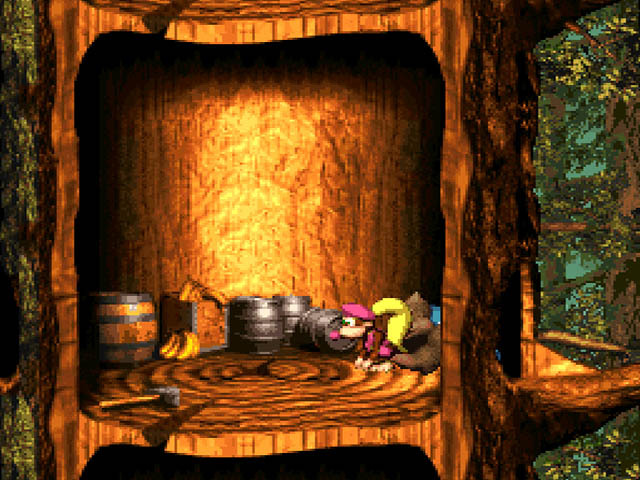 All of the Donkey Kong Country games are unique and thrilling. 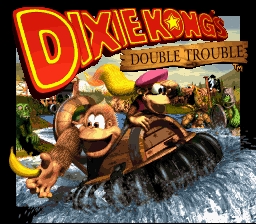 In this third installment, you play as Dixie Kong along with her sidekick, Kiddy Kong, in all new courses and new enemies. 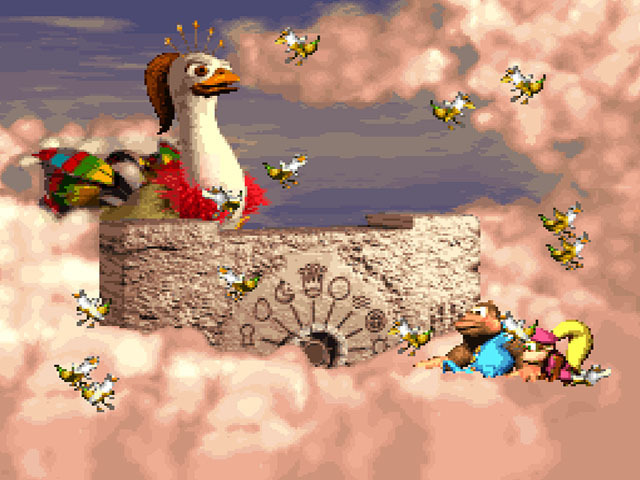 Much of the game has remained the same to the first 2 games, but with new and improved courses and graphics. 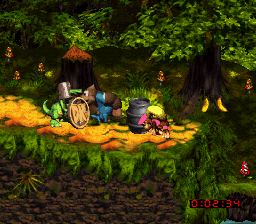 I would say gameplay wise the third game is a bit more difficult than the 2nd, but not extraordinarily. Definitely give this game a try, it's well worth it! The third game in an exciting series. 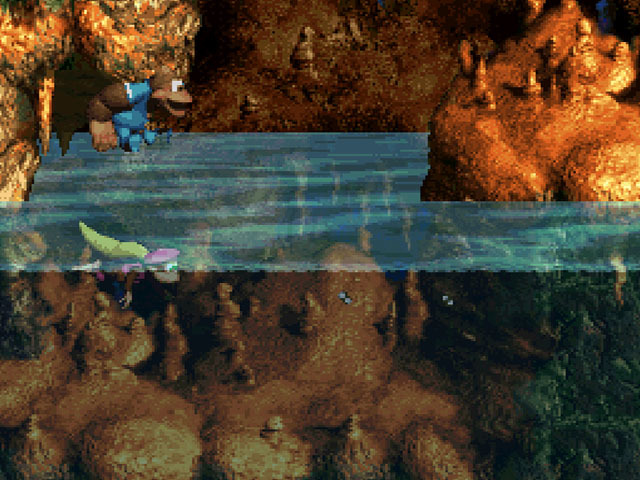 This game takes what made the first two games unique, and improves on it. 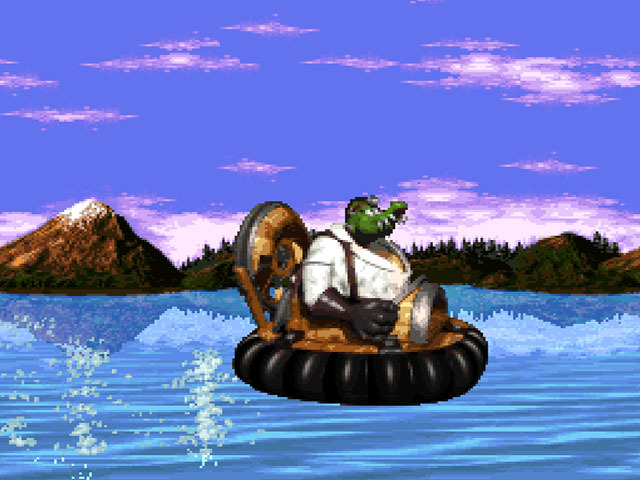 Boasting better graphics, more mini-games, and new enemies, this game will keep you hooked until the very end. Now you can add videos, screenshots, or other images (cover scans, disc scans, etc.) 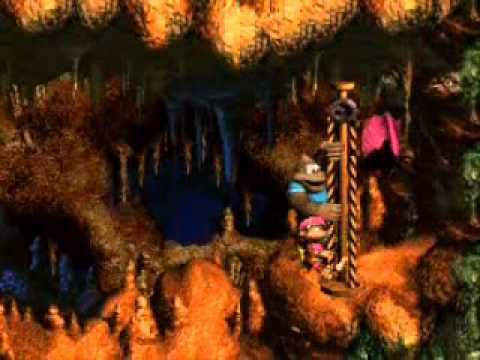 for Donkey Kong Country 3 - Dixie Kong's Double Trouble! (USA) (En,Fr) to Emuparadise. Do it now!